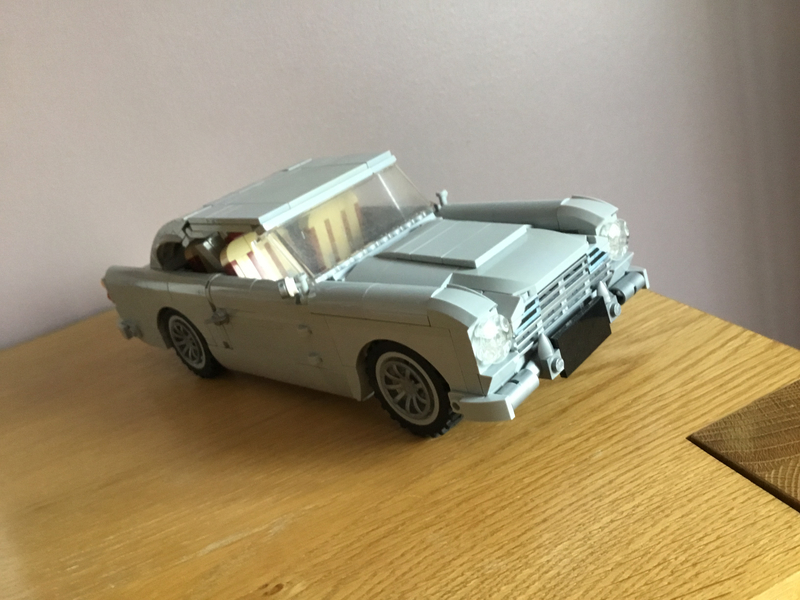 007 Aston Martin official LEGO? "Retire to a safe distance and do not return to lit firework." ...and it's on the front page. sorry everyone! Probably still need a forum thread for this as the conversation progresses beyond the comments thread on the main site. Would the general consensus of a 007 licensed Creator Expert Vehicle be correct? I'm wondering whether it would come with a minifig or not. 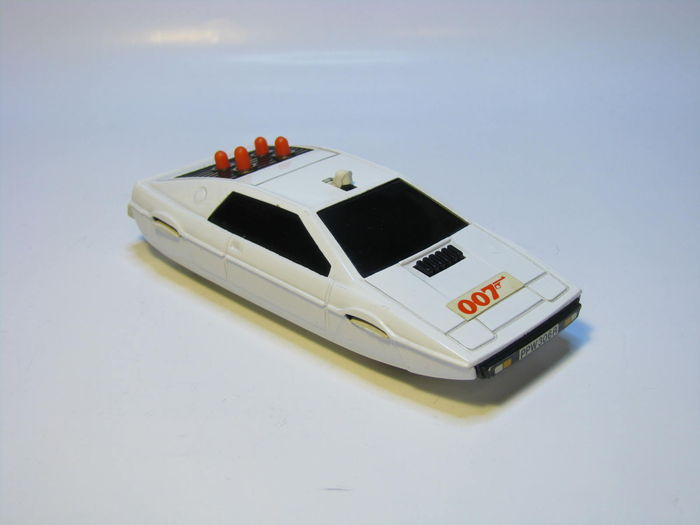 My dream of having a system scale Live & Let Die Speedboat Chase will probably have to stay in MOC-world though. Because it does. And the World hasn't stopped turning. Amazing! Maybe they feel like a Creator Expert with a 16+ on the box mitigates that somewhat. I do hope whatever spy features they include they are not to the detriment of the exterior beauty of the model. ^^But it's movie fantasy violence which LEGO seems to be okay with. My hope is it's for a Speed Champions sub theme. Hopefully it's the start of a movie/tv show sub theme and we get many more. I wouldn't be surprised if it's only a Brickheadz figure, or how Funco Pop has the big head sticking out of a little car. I think that it's a near certainty that it'll be this years Creator Expert vehicle. Quite how much reference to Bond there'll be is another thing - I'm thinking a lot less than the teaser might make you think. Definitely no minifigure(s) as it'll be at completely the wrong scale. Tim Daltons skiing Aston (License to kill? I do as well. Then again, Thanos killing off half the universe is pretty violent. Maybe this is Dr. No James Bond which is rated PG. ...or how Funco Pop has the big head sticking out of a little car. Oh, lord! I've yet to see one of those south of $50AUD. You want one in Lego form? The Brickheadz haters would go ape! 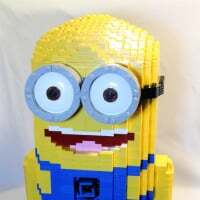 ^No I don't want, but we know how everything is Brickheadz at LEGO now. Just playing devils advocate. My Prediction. 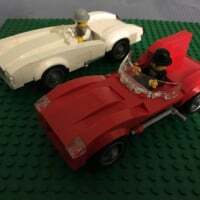 To avoid having to associate with the violence of 007, LEGO will make the Cannonball Run version of the DB5 with Seymour Goldfarb Jr. at the wheel. If this JB set is a speed champions size set, i'm all over it. In fact, a series of James Bond cars would be amazing. A Lotus Esprit submarine would be ace. You could change the bits for car and sub mode. Not like the old Corgi car from the seventies with no wheels. 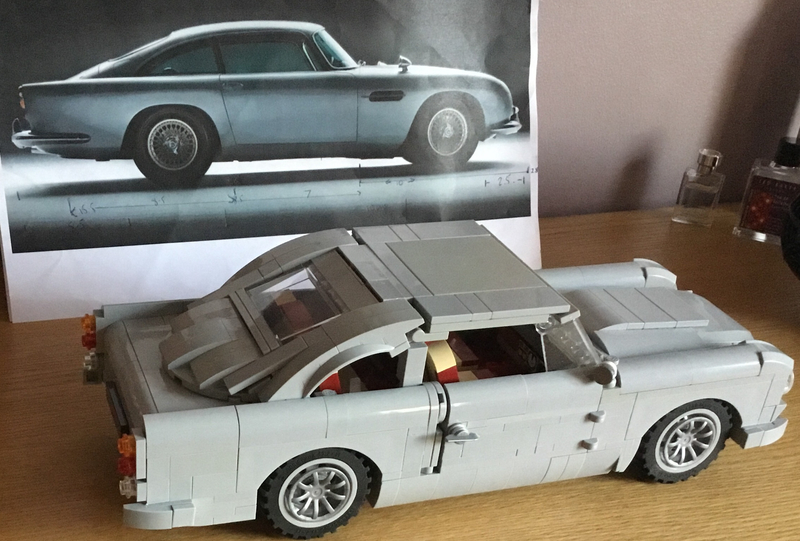 I think it might be fair enough to assume a DB5 features in the set that's being teased. I'm going predict it's minifig scale* and it comes with a Goldfinger in a golf-cart and an Oddjob to go along with it. I think it might also be a "test the water" set, Bond 25 is out late next year, I can see a lot of potential with 007 as a theme. 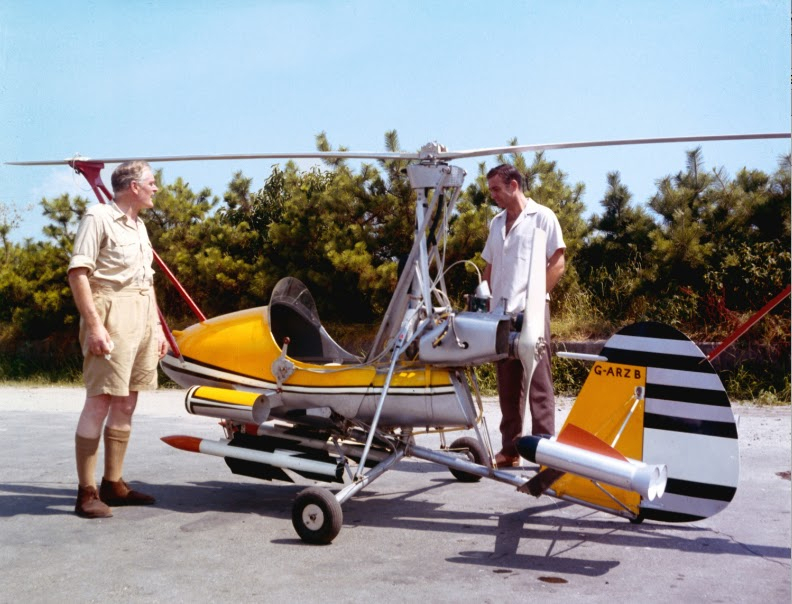 The flying car from 'The Man with the Golden Gun'? The Lotus Esprit (as already mentioned)? Pierce had some BMWs which could work, is it a light blue one in Goldeneye? Personally, I'm hoping for six sets by next November! *Official LEGO James Bond/s minifigure/s are bound to be popular... right? I forgot the less-than-attractive misogyny stigma that goes along with Bond. I suppose I'll be more surprised if there is a licensed 007 set. Thanos killing off half the universe is pretty violent. I suppose you can slot comic book with Star Wars fantasy violence. James Bond very much exists in the 'real world'... with Indiana Jones. As long as they don't drill or refine oil. We can't have licensing partnerships with oil companies! How about the moon buggy effort from Diamonds Are Forever? I just thought of another scenario that would be picture perfect but almost certainly won't happen - The Tanker Truck sequence at the end of License to Kill - not the most Lego friendly but you could even have an instant wheelie function to avoid impending flames! also not the most "bond" like film, it felt quite different from previous ones, but timothy dalton's bond was an interesting change. the spaceship eater from YOLT is quite iconic I think, but not sure that would be the most exciting set. atlantis from TSWLM could be a good one. the ice palace too, if it wasn't one of the worst movies. I think that was the living daylight? It would be cool if this meant a minifigure scale DB5. Still, officially licensed James Bond stuff seems like a bit of a stretch. Maybe they can release a DB5 like how they released the Mustang; Not a direct license of the movie car, but bears a resemblance via its color. However, what I’m interested in is seeing if this could be hinting at a new brand for the Speed Champions line. 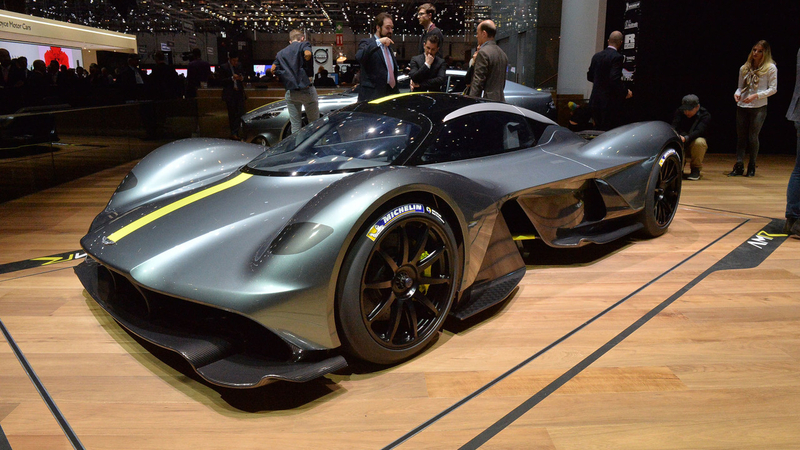 An Aston Martin DB5 would be a fantastic car to see, and the new Aston Martin Valkyrie would fit right in. The brand was/is a major motorsports competitor as well, so race cars, vintage or modern, wouldn’t be hard to find either. LEGO will need new brands for theme, and a supercar manufacturer with a racing pedigree is a perfect addition. 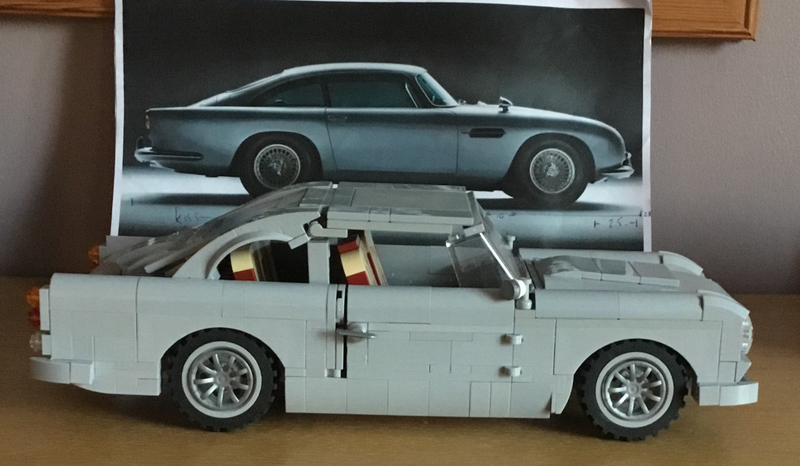 If it is a DB5 then my dad will likely be getting his first LEGO set for his birthday this year. I've just seen a teaser image on instagram, looks fairly certain that those of you wanting the creator expert won't be disappointed. However, from the sillhoutte shown, I'm almost certain it's not a DB5, in fact I'd say it's more likely to be a DB9 vantage or a similar more modern incarnation of the Aston Martin... which makes the 007 reference a little more tenuous. Especially as the car is being pictured with the other creator expert vehicles. Can you tell us where on Instagram? @benbacardi I assume this image. Looks like a page from the Chinese August Lego Store Calendar. Maybe a DBS or DB10, as Bond didn't drive the DB9? Yes, ^ that's the one. Sorry for not including a link. Thanks! That either looks like the Vanquish from Die Another Day, or the DB10 from Spectre, which is most likely as it's the most recent Bond film. 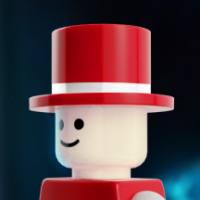 It is strange that it is on the Creator page, so presumably no minifigure and no James Bond cross-promotion. 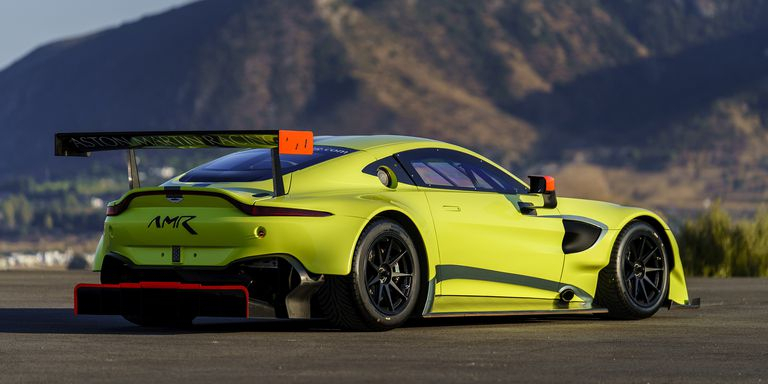 ^ unless it's not the only Aston Martin set in the works... unlikely as that seems. 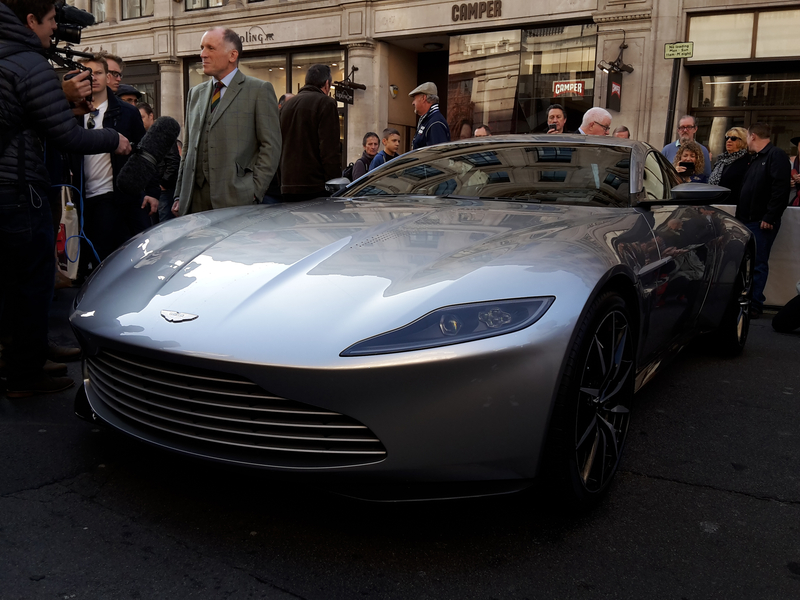 DB10 from Spectre, which is most likely as it's the most recent Bond film. I'd go with this judging by the outline shown. Not the most memorable Bond car or film. Infact I can't even remember the gadgets it had! Obviously if someone were to give me that car ^ or the potential LEGO incarnation, I wouldn't complain. I'd still think the DB5 and DB8&9 are nicer looking cars though... DB10 has lost something in my opinion. Although, the DB11 looks like it's got it back again! The Aston Martin Instagram just teased a new DBS unveiling so perhaps the Lego model / next Bond car will tie into it. There is always another Bond film in the pipeline right? @Bumblepants there is a new Bond film set for next Nov... this is intriguing! After studying it in more detail than was probably necessary, I don't think that outline resembles the DB10 at all - the large front spoiler is the giveaway for me - which is a distinct DBS feature. Besides, the DB10 wasn't particularly useful - it was driven pretty gingerly by Bond standards around Rome, didn't cause any collateral damage (besides a small dent to an old man's car) and just got bailed out into the Tiber. I'm hoping the next film gets back to classic car chase standards. 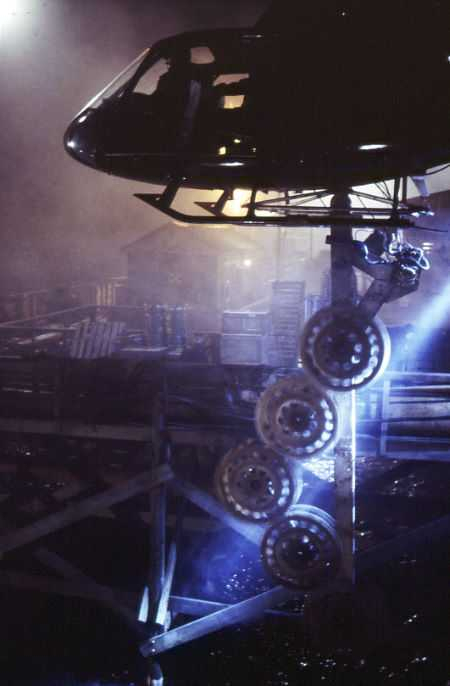 Even Tomorrow Never Dies' car park sequence in the BMW was great fun. not the best bond, but the 2 chase scenes were fun. I really hope this means that Aston Martin will be in the 2019 Speed Champions wave. Of course, if we actually get a 2019 wave, but I don’t see the theme going anywhere anytime soon, not with all the new parts they introduced and the licenses they have. They put a lot into it, and the designs have improved each year. It’s been well recieved overall, and automobile websites have even written about it. On that note, perhaps they are saving the DB5 for Speed Champions. Think about it, all of the vintage cars we’ve seen in Speed Champions so far are iconic cars, and the DB5 is definitely an iconic car. We got the ‘68 Mustang in dark green(sorta), so a DB5 that resembles the Goldfinger car isn’t out of the question. James Bond is looking very old. Is he 070 now? This, exactly this. Though, I wouldn't be surprised in the slightest if we see the Aston brand continued into the Speed Champions line. As far as 007 tie ins go, I say go big or go home! 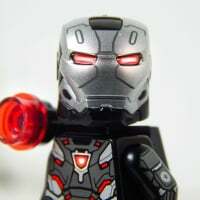 Sociopathic, sexually ambiguous, genital smashing, cyber hacking super villain minifigs or GTFO! Do they usually announce new sets such as this long before release or closer to release-date? Just thinking of when we will see it. 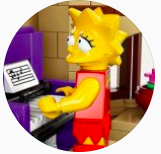 And yeah minifigs would be cool but I think we have never seen a minifig included in a Creator Expert car-set, so I think it is unlikely. 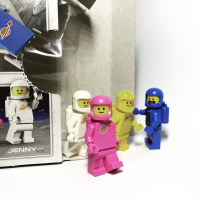 There's another teaser up on instagram, it's not on LEGO's twitter feed and I haven't looked elsewhere so it might be a leak. It certainly muddies the water though, because it definitely and very strongly suggests a DB5!